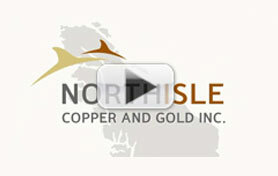 Based in Vancouver, BC, NorthIsle Copper and Gold currently owns one of the most promising copper gold porphyry deposits in Canada. Located on northern Vancouver Island, the North Island Project’s access to pre-existing infrastructure in a mining-friendly community makes it an attractive asset in the junior resource sector. In September of 2017, Northisle issued its initial Preliminary Economic Evaluation. See News Release.